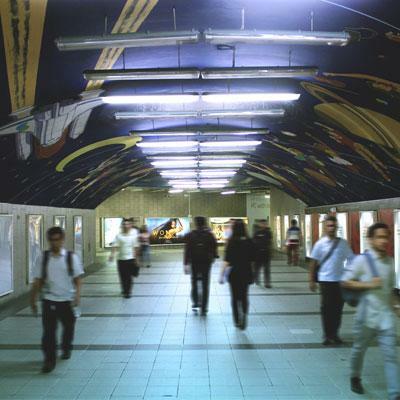 Makati, as you may know it, is a city full of energy, one where people work, play, and live. As the saying goes, everything is happening in the city. But if you want to find a spot in it where you can unwind amidst all the action, then spend an hour or two at Ayala Triangle Gardens, your Urban Oasis in the City. What was formerly Nielsen Field before World War 2 and an airport thereafter is now one of Makati’s crowning jewels. Accessible through two of Makati’s underpasses, Ayala Triangle Gardens occupies 2 hectares of landscaped green in the center of the Makati Central Business District. The park opened in 2009 and its design was inspired by London’s Hyde Park, thanks to its palm and acacia trees and tropical foliage. Indeed, it’s where you’d go if you want a nice time under green shades. The McMicking Memorial & Courtyard Partake in city history and see this rectangular water feature dedicated to one of the city’s founders. And yes, it’s quite picturesque at night when it’s all lit up. Ayala Tower One & Exchange Plaza It’s one of Makati’s iconic buildings, with its water fountain and signature arch. Offices of international and local companies occupy its 35 floors. Do know that entrance to the actual building requires valid ID and reason for business, and security is quite tight. However, everyone is welcome to take pictures of the facade. If you’re in need for a co-working space in the city, look no further than Clock-In By Ayala Land Offices, which is one of the pioneers in co-working space design. Fast wi-fi, serviced offices, meeting rooms and virtual office is at your disposal, Makatizen! Slap on the FitBit and go for a few rounds at the Gardens’ joggers pathways. If you come here at 6PM, you can join the after-hour regimens of many Makati employees–burning calories while waiting for the traffic to subside. If you’re lucky, you may chance upon a Zumba session and join in on the fun! Let everyone in your social media feed know you’re a proud Makatizen by striking a pose at the official Make It Makati sign, located just beside the McMicking Memorial & Courtyard. Hey, you can’t miss the giant letters–they’re big and they come in neon-rainbow colors. Learn a little bit more about the history of the city by reading up on the many plaques around the park. Soak in fascinating factoids about Colonel McMicking and his wife and the historic control tower that is now a marquee restaurant. It’s a food fair and acoustic music festival rolled into one and it happens every first Sunday of the month. Paseo de Roxas, by Ayala Triangle Gardens, is closed down so the entire Makati neighbourhood can have a street party all in the spirit of community! Food trucks, arts & craft workshop and performers await. Yes, admission is always free. Come the -ber months, people of all stripes flock to the Gardens to witness the sound and light spectacle that is the yearly Festival Of Lights– the biggest, most talked about Christmas-themed event in the Philippines. Admission is free for everyone so this a must-see for everyone during the Yuletide season, especially for the kiddies. Did you know? Ayala Triangle Gardens has an entire strip of garden-side restaurants offering a variety of cuisines to suit all tastes. Whether you’re in the mood for some Singaporean chicken rice or a healthy dollop of yogurt, the options are aplenty. 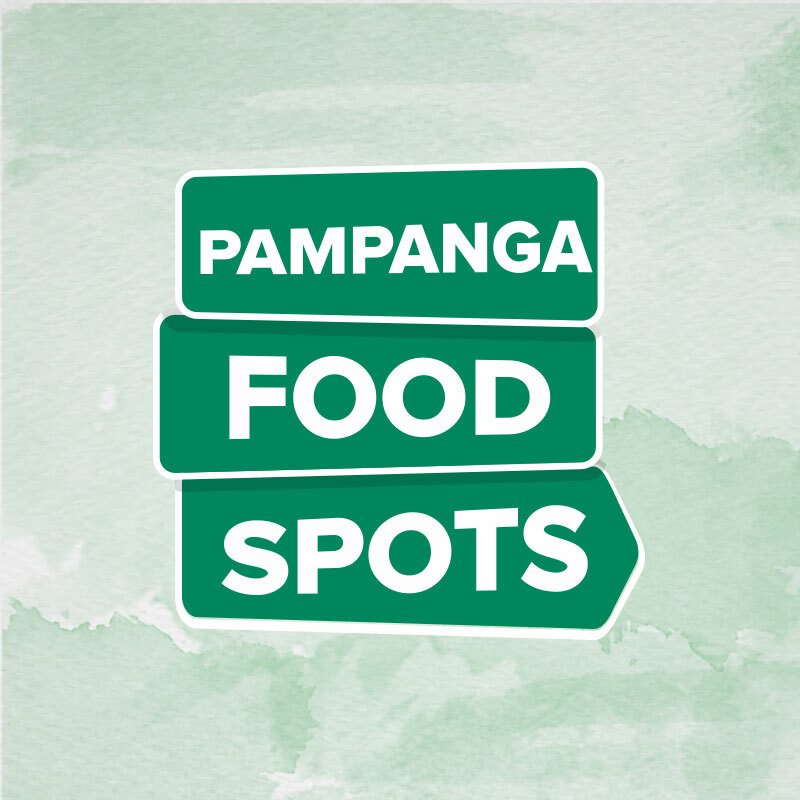 Choice is yours, Makatizens: Amici, Banapple, Berde, BonChon, The Coffee Bean & Tea Leaf, Family Mart, Kanin Club, Pinkberry, Poco Deli, Tokyo Camp BBQ Curry, Wee Nam Kee. If you’re looking for a fine dining experience in the city, one that’s aviation-themed at that, then indulge yourself at Blackbird At Nielson Tower, which if you’re a history buff, the Art Deco structure of which once housed the control tower of the Manila International Airport. Aside from the classy ambience, did we mention that the food is also fantastic? The restaurant serves only the best of Contemporary european and Asian cuisine. For a complete, experience, you should dine al fresco in the patio. If you’re on a budget, you can hop on the escalator of Ayala Tower One and eat at The Mezzanine, a food court that has everything on offer, from home-cooked Pinoy meals to Vietnamese banh mi sandwiches. Two gleaming towers will soon stand on the eastern tip of the triangle. 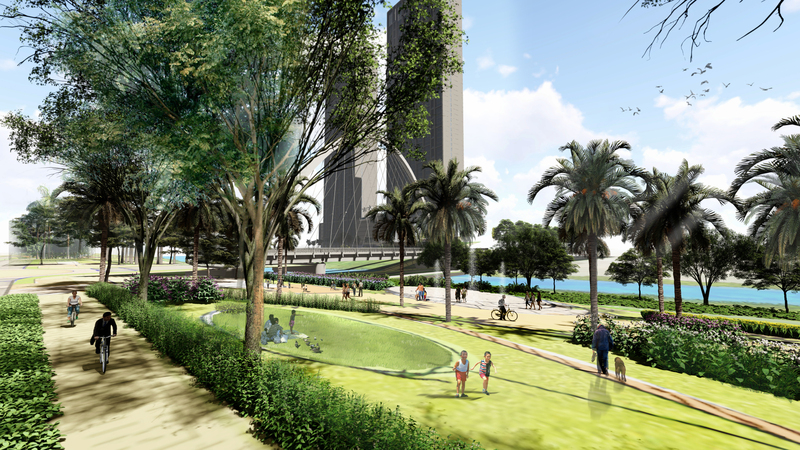 It will be called Ayala Triangle Gardens Tower Two. The first tower, you ask? It will house a 40-story premium office. The second tower? Oh, yes, it will be a 24-story five-star hotel building. The best news, however? Why, with green building practices and green elements surrounding the structures, the park grounds will be extended beyond the building line! More green spaces to hop, skip and play in. Photo courtesy of Ayala Land, Inc.
Now, this one’s a game changer, folks! Park Central Towers (from Ayala Land Premier) will soon be Makati’s premier residential address in Roxas Triangle, one that will rise at the intersection of Paseo de Roxas and Makati Avenue. And from the pictures we have seen so far, she’s truly a beauty! The park is open from 6AM to 10PM. Restaurants are open from 10AM to 10PM.